Planning an event or party can be stressful especially if you are faced with a venue that needs some division to make the ambience right. 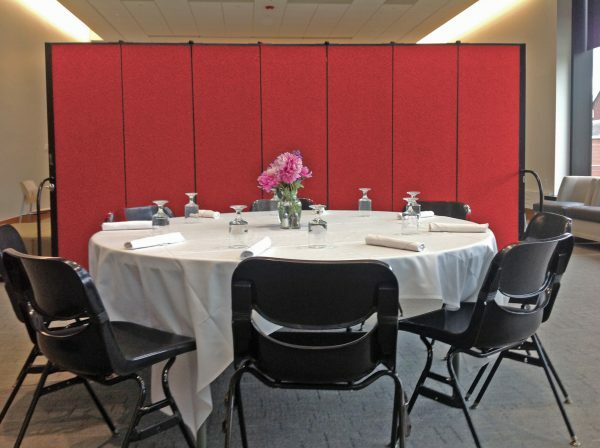 These portable room dividers provide a completely viable solution to the hospitality industry. 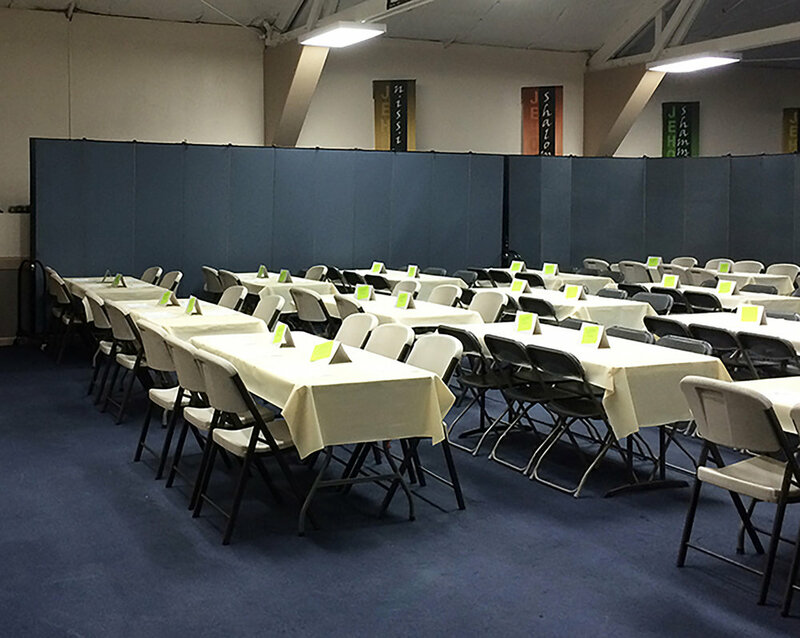 Temporary partitions are great for creating “L,” “U,” cross, or curve shapes around tables. Connect two or more dividers to make complex configurations or long continuous lengths. The sky is the limit when it comes to your creative setup ideas! Simply walk dividers open, placing corners where needed. We have a few different types of fabric that you can choose from, so whether you are wanting our 'designer' or 'excel' fabric you can rest assured it will be durable and made from 100% recycled polyester. When choosing your colour, consider the room divider’s intended purpose. Will your fabric room dividers need to blend into the environment, or would you like them to stand out? Our easy-to-use accordion-style room dividers are portable, making them simple to move wherever you need them. They have lockable casters giving the screens stability and peace of mind.. Here are some examples of our customers who have purchased Screenflex. Screenflex walls can divide up a large room, making it feel cosy and intimate.